Snap memorable photos of the Bund, Pudong and Huangpu River from the observation deck on the 88th floor of Jinmao Tower, an architectural wonder and one of Shanghai's most famous attractions. Adult prices apply to children higher than 130 cm (4′2). 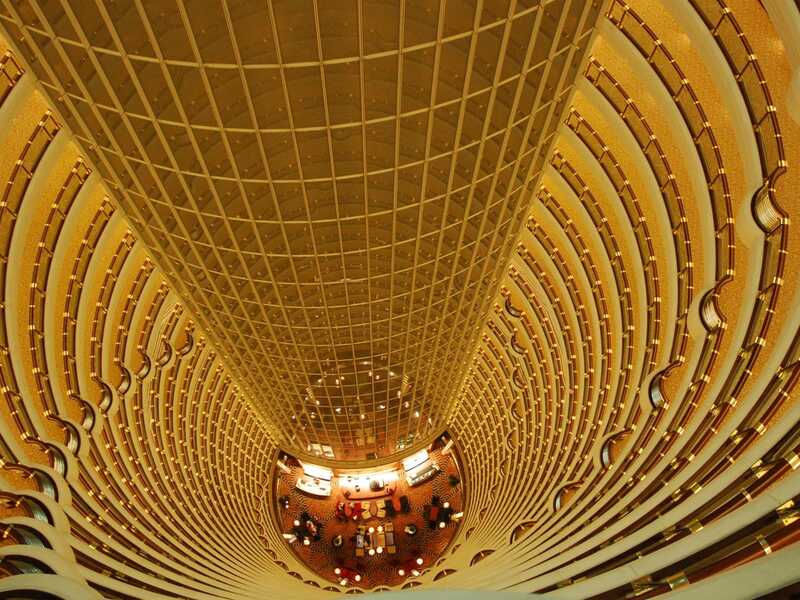 Be in awe as you visit mainland China's third tallest building, the Jin Mao Tower in Shanghai. This skyscraper is over 1,380 feet high with 88 stories that house various Jin Mao offices and a deluxe 5-star hotel, along with an observation deck that boasts a panoramic view of the whole city. Please show the tour operator voucher (NOT VELTRA voucher) at the entrance of the observation deck, Floor B1, at the Jinmao Tower from 08:00 to 20:30. You will be able to exchange your voucher for entrance tickets. Please be ready to produce valid identification and the credit card used for payment upon redemption of tickets. Children below 1 meter (100 cm) in height are free of charge. A separate voucher from the tour operator will be sent upon booking confirmation. Participants will have to show this voucher to get their ticket at the redemption point in order to join the tour. Please note that this is different from the VELTRA voucher. Participants who fail to show the tour operator voucher will not be allowed to join the tour. Voucher can be shown on the mobile device but because China restricts access to some email apps like Gmail. Guests are recommended to print one out just in case. Tickets can only be used once and on the specific day selected. Re-entry is not allowed.